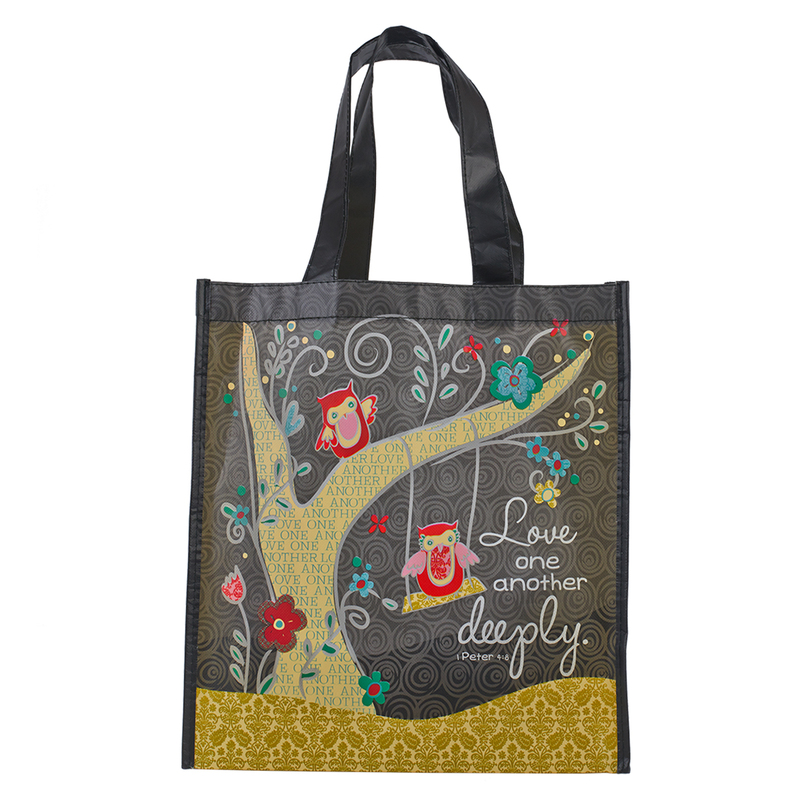 Bring some extra colour to your shopping with this shopping bag featuring the verse 1 Peter 4:8 'Love one another deeply'. Want to wear your faith on your sleeve (or arm)? The love one another deeply tote is a great companion for any trip, whether it be to the grocery store, school, church, vacation, or sleepover. What a fun accessory for kids to carry books home from the library or toys for a playdate. It's light, but durable, easily foldable, and contains plenty of room for toting around your favorite things! The popular owl design and elegant floral patterns also make this tote a fashionable accessory. The sleek black background and green floral patterned sides allow for the color to pop on this tote. 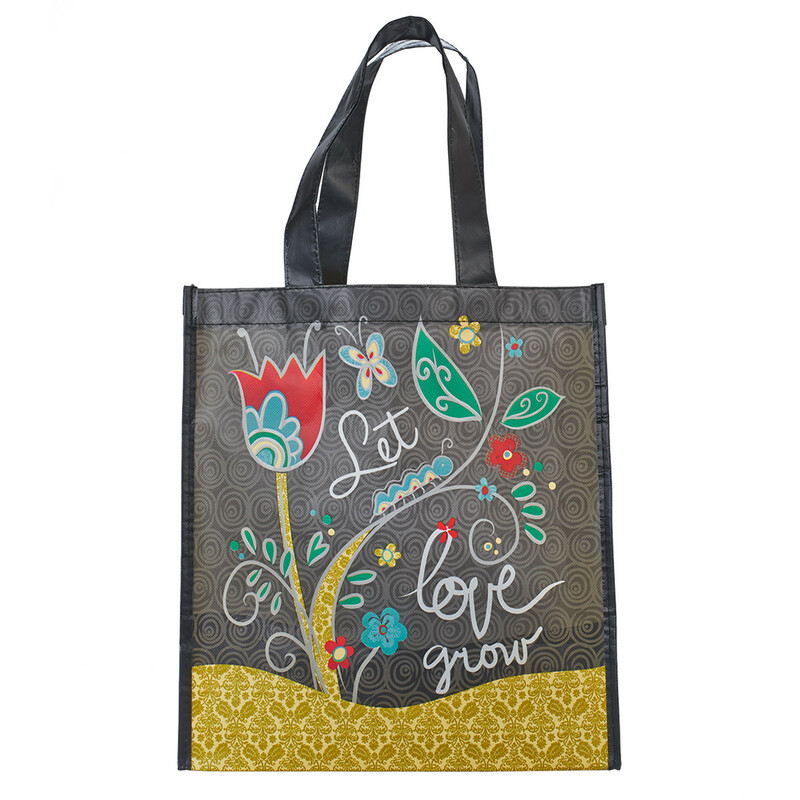 This Christian love tote also features the words "Let love grow", reminding us of our calling to "love one another deeply" as Scripture verse 1 Peter 4:8 describes. 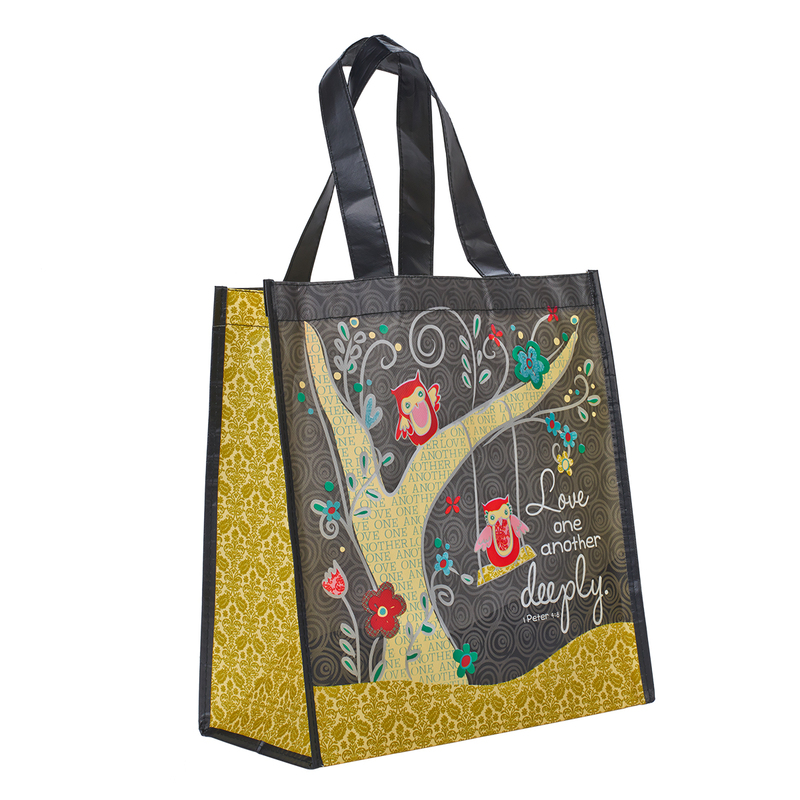 Love Deeply Shopper Bag by Christian Art Gift was published by Christian Art Gifts in September 2015 and is our 98th best seller. The ISBN for Love Deeply Shopper Bag is 6006937131354. I bought this for my wife and she loves it. A practical bag with a bit of inspiration and message for others. I was delighted with this shopping bag and it's interesting to see people's reaction when they say 'isn't it a lovely bag' and then read the Bible verse printed on it. Mostly not what they expected to read and they have to think how to react. I just them a big smile. Good product, good service. Thank you Eden. Got a question? No problem! 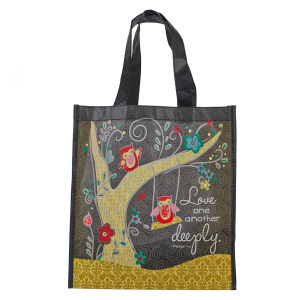 Just click here to ask us about Love Deeply Shopper Bag. A:There aren't any pictures on the sides of the bag. Thank you for using the Q&A Forum. A:Yes there is, and I have added the reverse image to the page for you. Thank you for using the Q&A Forum. What is it made of please? A:The bag is made of a non-woven synthetic fabric which is made to be both strong and lightweight. Thank you for using the Q&A Forum. A:I hope that answers your question and thanks for using the Q&A Forum. .